Freeborn, Jeremy. "Special Olympics in Canada". The Canadian Encyclopedia, 16 March 2017, Historica Canada. https://www.thecanadianencyclopedia.ca/en/article/special-olympics-in-canada. Accessed 18 April 2019. Special Olympics is a global sports organization for people with intellectual disabilities. The impetus for the organization was research done by Canadian sports scientist Dr. Frank Hayden, who helped develop the first International Special Olympics Games in Chicago in 1968. The World Games are now held every two years and alternate between summer and winter events. The 2015 Summer Games were held in Los Angeles, California, and the 2017 Winter Games will be held in Austria. Canada began holding National Games in 1969, thanks to the efforts of broadcaster Harry “Red” Foster. Like the World Games, the National Games alternate between summer and winter events, with the 2014 Summer Games held in Vancouver, British Columbia, and the 2016 Winter Games held in Corner Brook, Newfoundland and Labrador. Special Olympics Canada has chapters in all provinces and territories, except Nunavut, and there are currently more than 40,000 children, youth and adults registered in Special Olympics programs across the country. In the early 1960s, studies showed that people with intellectual and developmental disabilities were significantly less physically fit than people without disabilities. Although many believed that intellectual disability itself resulted in poor fitness and physical skills, Dr. Frank Hayden, a sports scientist from Windsor, Ontario, decided to test this theory. While at the University of Toronto, Hayden researched the effects of physical conditioning and skills training on a group of students at Beverley School in inner-city Toronto as a case study. He concluded that the reason why those with intellectual disabilities were less physically fit was a lack of opportunity rather than a direct result of the disability itself. Given opportunity, they could develop the skills necessary to participate in sports and, therefore, become more physically fit. In 1964, he presented his research to the first International Congress on the Psychology of Sport in Rome and published a testing and training manual. Similar research in the 1960s was conducted by Dr. Patricia Austin at the University of Alberta. Austin argued that physical educators should pay attention to the “forgotten child” and meet the interests, needs and capabilities of all children, including those with disabilities. Hayden made it his mission to help provide opportunities for sports to people with intellectual disabilities and proposed and designed a national program of sports training and competition in Canada. His work caught the attention of Eunice Kennedy Shriver, sister of the late American president John F. Kennedy. In 1965, Hayden moved to Washington, D.C., where he became director of The Joseph P. Kennedy Foundation. During his seven years in Washington, he worked on playground design, developed methods for teaching sports skills to those with intellectual disabilities and helped draft legislation to assist those with disabilities. Hayden and Kennedy Shriver were also instrumental in developing the Special Olympics movement in North America by organizing the first international sporting event for people with intellectual disabilities. The first International Special Olympics Games took place in Chicago, Illinois, in July 1968. Canadian athletes attended the games, competing in floor hockey. Among those who accompanied the Canadian floor hockey team were Toronto Maple Leafs minority owner Harold Ballard, Toronto Maple Leafs captain George Armstrong (who served as honourary captain) and Canadian sports broadcaster Harry “Red” Foster. Like Hayden, Foster was instrumental in changing the attitudes and perceptions of Canadians with intellectual disabilities. Foster, whose brother was blind and had an intellectual disability, campaigned for the establishment of Canadian research centres to study the causes of intellectual disabilities and develop training programs for those with disabilities. Foster was the chairperson for the first Canadian Special Olympics Games, which were held in Toronto, Ontario, in June 1969 (less than a year after the first International Special Olympics Games in Chicago). A total of 1,400 Canadians competed in floor hockey, aquatics and athletics. Foster would again chair the Canadian Special Olympics Games in Toronto in 1971 and in Winnipeg, Manitoba, in 1974. Both Foster and Hayden have been recognized for their contributions. Foster was inducted into Canada’s Sports Hall of Fame in 1984, and Hayden was inducted into Canada’s Sports Hall of Fame in 2016. Foster was named to the Order of Canada in 1970 and received a Special Achievement Award from the Government of Ontario in 1974. Hayden was named to the Order of Canada in 2000 and the Order of Ontario in 2012, and a school in Burlington, Ontario, was named after him in 2013. Special Olympics Canada now has chapters in all provinces and territories, except Nunavut. In 1975, Saskatchewan became the first province in Canada to have an incorporated provincial Special Olympics organization. Provincial organizations were later incorporated in New Brunswick, Nova Scotia and Ontario in 1979; Manitoba, British Columbia and Alberta in 1980; Québec and the Yukon in 1981; Prince Edward Island in 1982; Newfoundland in 1986; and the Northwest Territories in 1995. 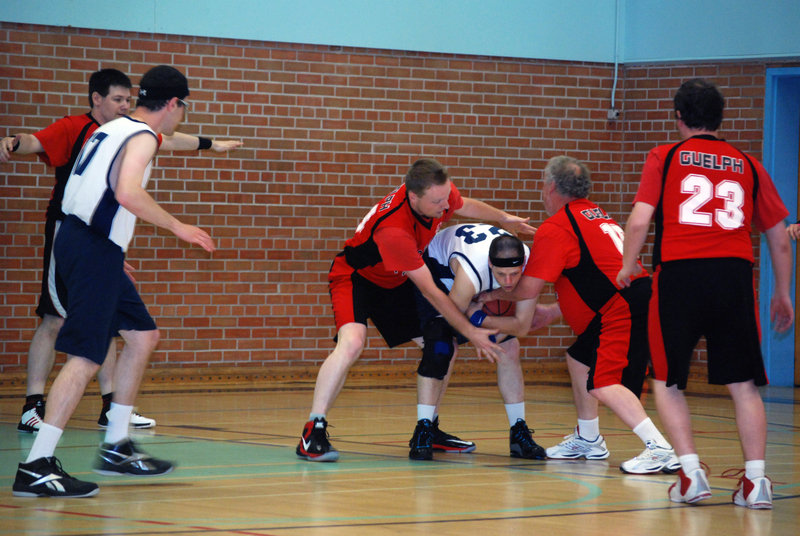 Special Olympics athletes participate in both recreational and competitive sports. Special Olympics Canada recognizes 17 official sports: 10 in the summer and seven in the winter. The 10 summer sports are athletics, bowling (five-pin and 10-pin), basketball, bocce, golf, powerlifting, rhythmic gymnastics, soccer, softball and swimming. The seven winter sports are alpine skiing, cross-country skiing, curling, figure skating, floor hockey, snowshoeing and speed skating. Those athletes who do well at local and/or regional competitions may qualify to compete at the Provincial Games. In turn, athletes may advance from the Provincial Games to the National Games, which occur every two years and alternate between Summer and Winter Games. The 2014 Summer Games were held in Vancouver, British Columbia, and the 2016 Winter Games took place in Corner Brook, Newfoundland and Labrador. The best athletes at the National Games may go on to represent Canada at the World Games, which are also held every two years on an alternating basis (Summer and Winter Games). At the 2015 World Summer Games in Los Angeles, Team Canada included 115 athletes and almost 50 staff. An even larger contingent is planned for the 2017 World Winter Games in Austria, where 110 athletes will represent the country. In 1997, Toronto and Collingwood, Ontario, joined forces to host the Special Olympics World Winter Games. This was the first and only time that Canada hosted a Special Olympics Games and only the second time that the Special Olympics Winter Games took place outside the United States (in 1993, Salzburg, Austria, hosted the Special Olympics Winter Games). Almost 2,000 athletes from 73 countries in five different sports competed at the 1997 Winter Games. It was the largest winter multi-sport event in 1997. Since 1989, Special Olympics Canada has held an annual award ceremony, which usually takes place in Toronto each November. Among those currently honoured are male and female athletes of the year, male and female coaches of the year, team of the year, festival volunteer of the year, non-coaching volunteer and volunteer who is involved in law enforcement. There are also two special awards: The Harry Red Foster Award is presented annually to a person who exemplifies the spirit, philosophy and goals of the Special Olympics movement, and the Dr. Frank Hayden Athlete Lifetime Achievement Award is presented to an individual who has achieved athletic success throughout his or her career and exemplified the true spirit of the Special Olympics. There has been a strong connection over the years between the National Hockey League (NHL) and the Special Olympics. Many professional hockey players have volunteered their time with the Special Olympics, and there are many NHL alumni games played each year, with proceeds going to the Special Olympics. In 1984, Calgary Flames forwards Lanny McDonald and Jim Peplinski received awards for their volunteer work with the Special Olympics. McDonald was awarded the International Special Olympics Award for Distinguished Service, and Peplinski was awarded the Charlie Conacher Humanitarian Award, which is presented to the NHL player who exhibits outstanding humanitarian and public service contributions. In 1989, New York Islanders forward Bryan Trottier of Val Marie, Saskatchewan, won the King Clancy Memorial Trophy for his volunteerism with the Special Olympics movement. The award is presented to the player who exemplifies leadership qualities on and off the ice and has made a humanitarian contribution to the community. In 1992, Peter Conacher of Toronto, who played in the NHL from 1951 to 1958, was inducted into the Special Olympics Ontario Hall of Fame. Conacher was a past president of Special Olympics Ontario. Los Angeles Kings head coach Darryl Sutter of Viking, Alberta, and Carolina Hurricanes general manager Ron Francis of Sault Ste. Marie, Ontario, have been very active with Special Olympics. Sutter’s son Chris has Down’s syndrome, and Francis’s brother, Ricky, has brain damage from childhood seizures. Both have competed in Special Olympics. Lanny McDonald of Hanna, Alberta, Tiger Williams of Weyburn, Saskatchewan, and Frank Selke Jr. of Kitchener, Ontario, have won the Harry Red Foster Award. Other notable winners of the Harry Red Foster Award are former Toronto Argonauts president Bob Nicholson and former Canadian Football League commissioner Tom Wright. Canadian Olympic gold medallists Mark Tewksbury (swimming), Catriona Le May Doan (speed skating) and Jamie Salé (figure skating) have been very active with Special Olympics Canada. Tewksbury was the honourary coach for Team Canada at the 2015 Special Olympics World Summer Games in Los Angeles. Le May Doan was the honourary coach for Team Canada at the 2013 Special Olympics World Winter Games in Pyeongchang, South Korea. (See also In Conversation with Catriona Le May Doan.) Salé will be the honourary coach for Team Canada at the 2017 Special Olympics World Winter Games in Austria. 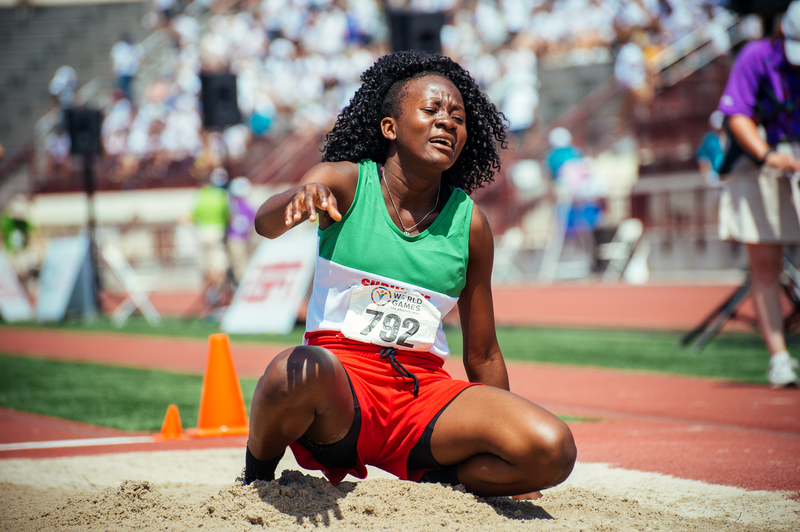 Tewksbury, Le May Doan and Salé are part of the Special Olympics Canada Champions Network, which was launched on 11 July 2014 to help raise awareness of Special Olympics programs across Canada.